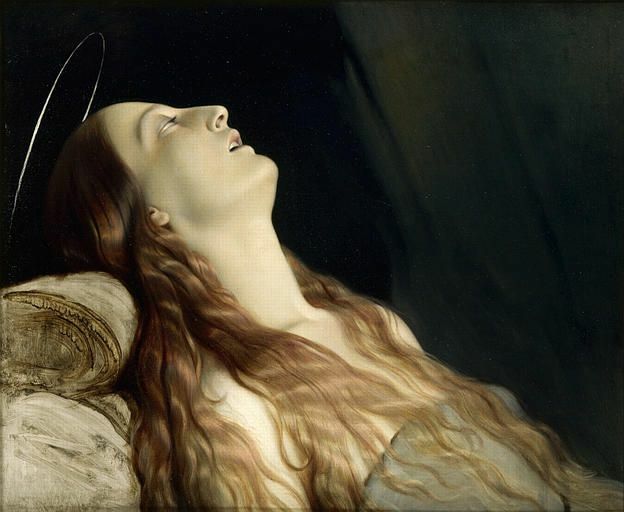 Delaroche’s work sometimes contained historical inaccuracies. 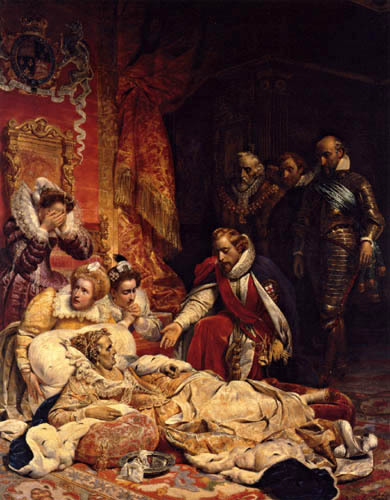 Cromwell lifting the Coffin-lid and looking at the Body of Charles is based on an urban legend, and The Execution of Lady Jane Grey is represented as taking place in a dungeon, which is badly inaccurate. He tended to care more about dramatic effect than historical truth: see also The King in the Guardroom, where villainous Puritan soldiers blow tobacco smoke in the face of King Charles, and Queen Elizabeth Dying on the Ground.